In his 2017 book, Ramp Hollow: The Ordeal of Appalachia, historian Steven Stoll describes the dispossession and impoverishment of Appalachia’s self-sustaining agrarian society and the devastation of its landscapes by invasive non-resident extractive industries. That was in the last century, but recent events in Wyoming eerily reflect this sobering history. One by one, our critical coal mining assets are being acquired by people with disreputable histories in Appalachia. Our miners, communities and lands are in danger of being impoverished by these operators and their schemes. Wyoming’s Powder River Basin has produced the lion’s share of America’s thermal coal over recent decades. Revenues from federal coal leasing and state and county taxes on the industry have been a mainstay of Wyoming’s budget, funding education and other public services. At its peak, coal directly employed nearly 7,000 workers and the “coal economy” provided nearly 23,000 direct, indirect and induced jobs. Clearly, since the late 1970’s Wyoming’s coal economy has been a boon to her citizens. The foundation of this economy was relatively few large, well-capitalized mining corporations that paid taxes and royalties, provided high wages, pensions and health care, and participated in the civic lives of the communities that grew around the mines. But markets changed, management miscalculated, stripping ratios grew, and the corporations that made the modern Powder River Basin economy began to fail. In 2015 – 2016 the three largest mining companies in Wyoming — Peabody, Arch and Alpha — filed Chapter 11 bankruptcies. In late 2018, another large company, Westmoreland, filed. And at this writing, the last of the big miners, Cloud Peak, is on the verge of throwing in the towel. They have granted their executives the usual “retention” bonuses, eliminated retiree health care and pensions, hired a financial advisor and been delisted from the New York Stock Exchange. Wyoming has seen it all before. When the coal bed methane boom went bust a few years ago, big, responsible operators rushed to sell — or often give — multiple methane leases, hundreds of wells and infrastructure to newly hatched and poorly capitalized LLCs created by ‘get-rich-quick’ artists. These companies also relieved the original owners of huge liabilities: for taxes, surface use agreements, royalties, idle well bonds. 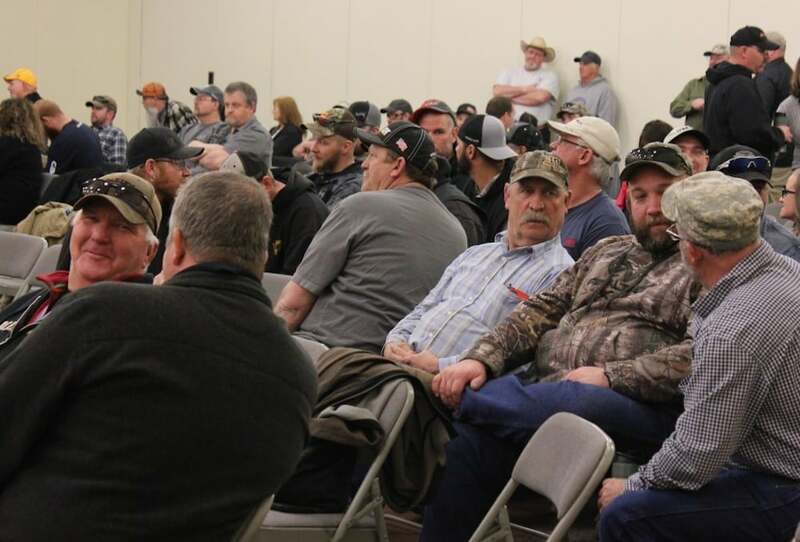 Most of the new operators sold what gas they could and then quickly defaulted, leaving landowners with idle wells, eroded and disrupted surface lands, noxious weeds, uncollected royalties and rentals. They left the State of Wyoming with thousands of abandoned orphan wells and the need to spend tens of millions of dollars to plug and rehabilitate them. When a mining company reorganizes through bankruptcy, ties binding the company to its workers, communities and Wyoming begin to unravel. Typically, mining corporations entering Chapter 11 stop paying the health care expenses of retirees, eliminate pensions owed miners, often fail to pay county ad valorem production taxes on coal production, and strive to reduce or escape their financial assurances for clean up obligations. The most ominous downside of large mining corporations leaving Wyoming is the people who move in and take over their mines and liabilities. Call them “financial engineers,” or “vulture capitalists,” who will bleed the mines’ remaining assets and escape liabilities to workers, communities and the environment; liabilities that have accrued over decades. They tend to be litigious, and are not strangers to the world of serial bankruptcies and corporate manipulation. Their environmental records are seldom clean. These are not the operators and corporate neighbors one would normally invite into the neighborhood. When Alpha Natural Resources “reorganized” out of bankruptcy their creditors formed a new shell company called Contura to own their “crown jewel” Wyoming mines, Eagle Butte and Belle Ayr. Contura quickly paid Blackjewel, LLC $21 million to take over these mines and assume their tax and clean up liabilities. Blackjewel was created by an Appalachian coal miner named Jeff Hoops, whose companies hold hundreds of small coal mine permits in Kentucky, Virginia and West Virginia, and whose mines have booked scores of mine safety and environmental violations over the years, including many deemed “serious” by Appalachian regulators. Today Blackjewel owes Campbell County about $17 million in delinquent production and property taxes from 2017 and 2018. They’ve recently negotiated a monthly payment schedule with Campbell County, but to date that is but Wimpy’s promise to pay tomorrow for taxes owed yesterday. In 2011 new subsidiaries of Ramaco, LLC, a company with small coal mines in Appalachia, purchased coal reserves and some land near the old Monarch and Acme mines outside of Sheridan. Since then they have courted local and state officials, dangling dreams of hi-tech carbon manufacturing research and jobs. Ramaco has submitted through another LLC a mining permit, rejected by the Wyoming Council of Environmental Quality in 2017. Their lawyers have bullied neighbors during hearings and their PR flack has insulted local advocacy groups and made repeated questionable claims about the ever-changing project. Ramaco continues to appeal the permit denial, but the promised world-class research center and jobs have yet to appear. Ramaco Carbon, LLC’s principal officers, brothers Charles and Randall Atkins, both have documented histories of fraudulent business activities. Charles was found guilty in 1988 of 28 counts of conspiracy to defraud the Internal Revenue Service and was sentenced to jail and community service. Randall was found liable for a breach of fiduciary duty in the related bankruptcy case. Both Atkins brothers have made a lot of promises to local Sheridan officials and citizens, but their past actions and business histories do invite serious skepticism. Finally, 150 year-old Westmoreland Coal Company filed bankruptcy late last year and agreed to sell its Kemmerer mine to infamous investor Tom Clarke through his latest shell company, Western Coal Acquisitions, LLC. According to the Appalachian Voices blog, Clarke is a failed nursing home entrepreneur who began dabbling in Appalachian coal mine acquisitions a few years ago and has now turned his attentions west. By rough count, Mr. Clarke’s colorful career has led him to participate in at least 10 separate bankruptcy cases. He has recently purchased several iron and coal mines out of bankruptcies, most of which have quickly failed again or promise to fail soon. Yet, Clarke’s bid for the Kemmerer mine was accepted by the bankruptcy court, and he was allowed to escape Westmoreland’s Wyoming union mining contract and stop paying retirees’ health care and pension benefits. But, surprise, surprise; Clarke has not been able to provide acceptable bonds to assure that the mine will be reclaimed when mining is finished. This leaves Westmoreland still liable, and calls into question the mine sale agreement. Mostly, it leaves the future of Kemmerer’s 300 union miners, the mine-mouth Naughton power plant, and the whole town of Kemmerer up in the air. The pattern evident in these past events is very troubling. Wyoming’s state and local governments need to connect the dots and set a course to better control the entities that so greatly impact our workers and communities. It is vitally important that our state and county governments participate early and aggressively in bankruptcy proceedings to ensure workers’ rights, fair payments for public services delivered, and assurance of mine cleanup are protected. And it’s important that all local, county and state governments carefully vet outsiders with development schemes that seem too good to be true. We must not become the feeding ground of grifters and vulture capitalists. A great article. We need to make sure our city and county officials do complete due diligence on these economic predators, and not let them be taken in by fraudsters. While John Tul’s concluding comments about corporate promises swaying elected officials and clever lobbyists may have some merit, the picture of our residents as being beaten and hopeless does not reflect the Wyoming I live in. I have been a corporate and securities fraud plaintiff lawyer for 40 years dealing with high profile cases from both coasts and would love to hear more from you. The data show Revelation Energy LLC founder, president and CEO Jeff Hoops (BLACKJEWEL) is the controller responsible for more than $926,000 in delinquent mine safety fines from citations at 50 mines. The Virginia Conservation Legacy Fund, a nonprofit founded by Virginia businessman Tom Clarke (who just bought the KEMMERER mine), owes about $736,000, according to MSHA data. These fines were accrued at two mines. I spent 20 years living on 40 acres of the former William Welch property outside of ranchester adjacent to Kooi. I knew most of my neighbors there and lived peaceably among the people raising cattle or with families who worked in Sheridan. Then Ramaco came along and disturbed my idyllic life in the Tongue River by harassing my rancher friends and neighbors.. I had to say goodbye to the beautiful home we built because although I would still fight alongside PRBRC I would not ever live near an open coal mine again after growing up in the coal and steel city of Pittsburgh and siuffering lifelong asthma from toxic coal dust. I am so proud of the work you have done in Sheridan County and Campbell County as advocates for our environment — fighting unscrupulous practices.! Thanks to you , Shannon Anderson,, Jill Morrison and Joyce Evans among so many others(friend Gillian Malone and John and Vanessa Buyok) for their support to stop this horrific malpractice which is bringing our planet slowly closer to a toxic death.. I continue to financially support their efforts from far away and will always call Tongue River Valley my beloved home. You refer the citizens and elected officials of WV to step up and enact protection and oversight of these stunning travesties crafted by carpetbaggers, but the truth is that the residents feel so beaten and hopeless that they vote not for social good, but corporate promises of ‘better days ahead’. In turn, the elected officials are easily swayed by clever lobbyists who, for mere pennies, sweep them into pitiful compliance. Thank you for this article! Well done. Excellent article! Although I do not live in Wyoming now, I care about the people there. When I was a child, growing up in Sheridan County, I knew all the native born people there. As a young adult, I noticed all the new names and faces and got to know many of them. Now, when I come to visit, everyone but family are strangers and it makes me sad to hear that there are those who come to do Wyoming harm.